Graduate student Drew Sauve recently returned from Cooper Island. He describes his collaboration with George in this guest post. 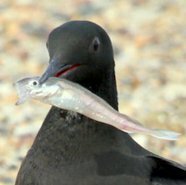 The Black Guillemots on Cooper Island are one of many wild populations that are responding to climate change by changing when they lay their eggs. 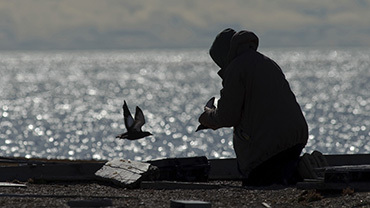 These Arctic seabirds want to lay their eggs as soon as the winter snow melts and spring begins, because their breeding season—from first access to a nest cavity to departure of chicks—is 80 days, an exceptionally long breeding period for a bird. 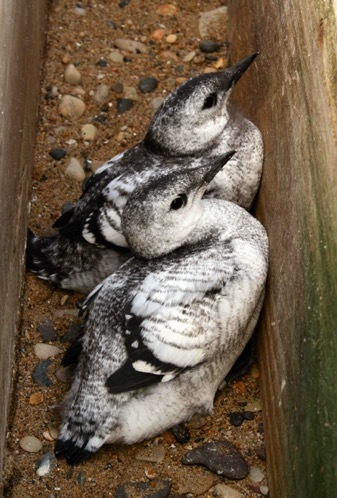 Parent guillemots have to have their young ready to fly off to sea before fall snow accumulation begins to block entrances to nest cavities. 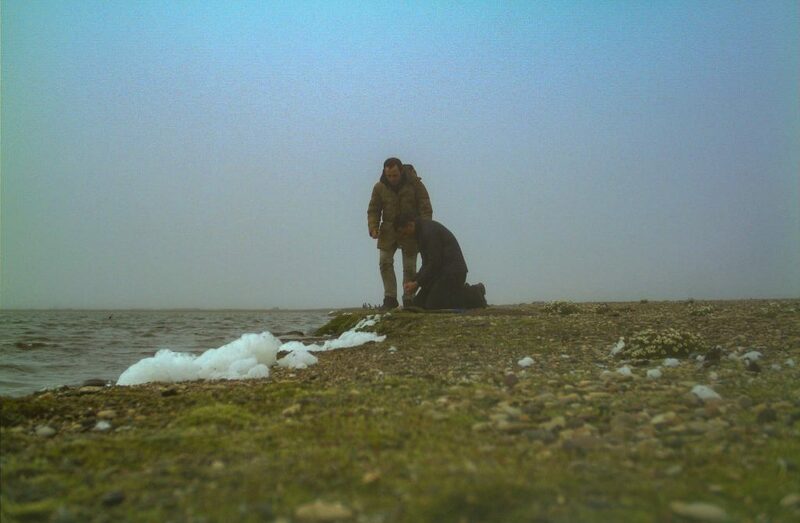 In recent years, with sea ice retreating offshore in late summer, early breeding has the benefit of being able to provision young when the preferred prey of Arctic Cod is still readily available. 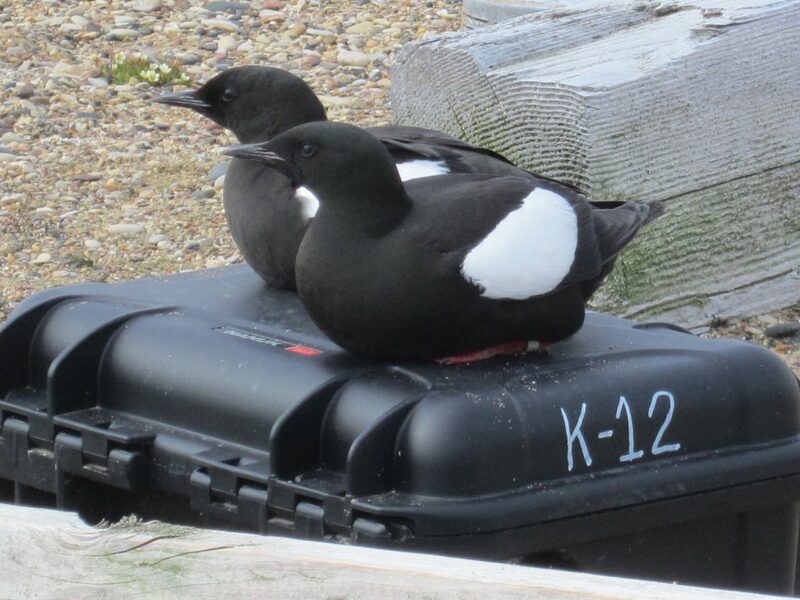 While there are decades of data that show spring snowmelt is occurring earlier in northern Alaska and, allowing guillemots to lay their eggs earlier, my research is focused on whether Black Guillemots are evolving to lay their eggs earlier. Read the full post at Proteus. Read the rest of the field report at Proteus.